One day an old man in a plain suit sat next to me by a pond in a park. He began to put powder on his face and changed into a woman’s long-sleeved kimono. He started dancing to an enka – a Japanese popular ballad – playing on his radio cassette recorder, a big smile on his face. “What’s going on?” I was curious. 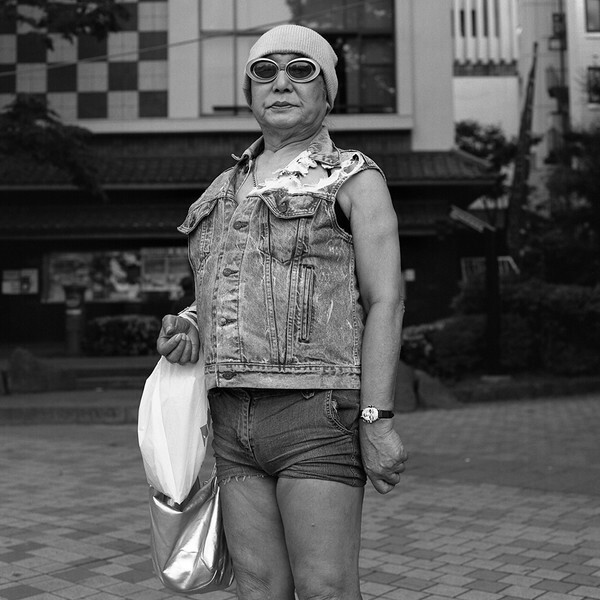 He told me that he was a master of Japanese traditional dance, a homosexual, and that he had cancer. On another day I met an old millionaire in underwear who rode a clumsy bicycle, and yet another day I met a devilish-looking man who in fact was a mummy’s boy. The park is Ueno Park in Tokyo and the pond is a big lotus pond called Shinobazu-no-ike. As I went there more often, I met more people like them. 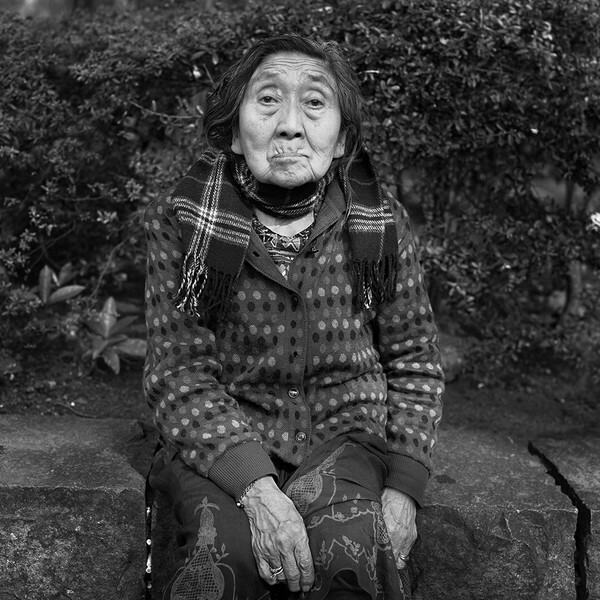 Before long, I began to take photographs of them and to hear more of their stories. There is something about the people I met at the park that particularly attracts me, something more than just how they look, just what they say about themselves. It is as if they had a kind of magnetic power, unseen and quiet, further attracting those who take a close look at them. What is it, this magnetic power, quietly striking a chord in my heart, the heart of the one who directs his/her attention to them? How can I capture this power when I take photographs of those people? How can I express this power through my photographs? In this work of portraits I pursue this problem. When viewing a work of portraits, viewers want to know the identity of the subjects. When making and showing their works of portraits, photographers have utilized some types or categories to specify their subjects. August Sander showed his subjects under the categories of social stratum and occupation, and Diane Arbus focused on the deviant and marginalized people in the society. 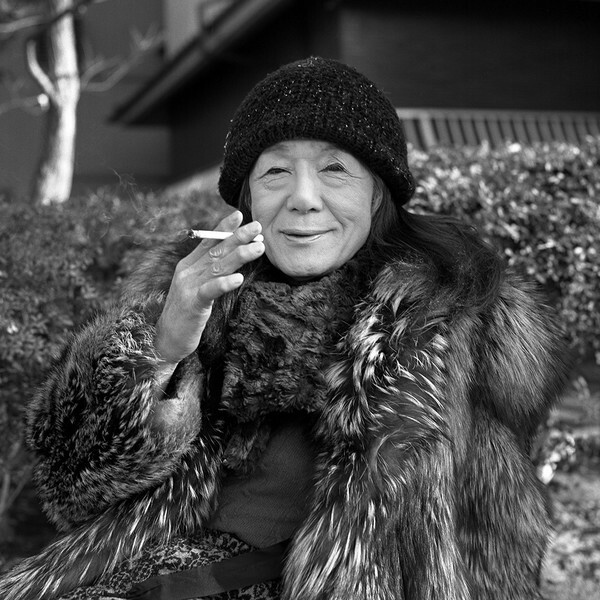 In addition, Hiroh Kikai continues photographing people with overwhelming presence. But those who became the models of my work do not go with such categorization. I go to the park earnestly and share time with the people who are there. Each model has his/her own background and character so unique that no types, no categories can wrap them up or specify them. It is as if all sorts of mutually-conflicting and complex human characters – vigor and weakness, harshness and gentleness, beauty and ugliness, and so forth – all reveal themselves as they are in each person, and quietly create a magnetic power of his own, of her own. It is this power that I want to express, neither replaceable nor reducible, the one-and-only magnetic power of each. 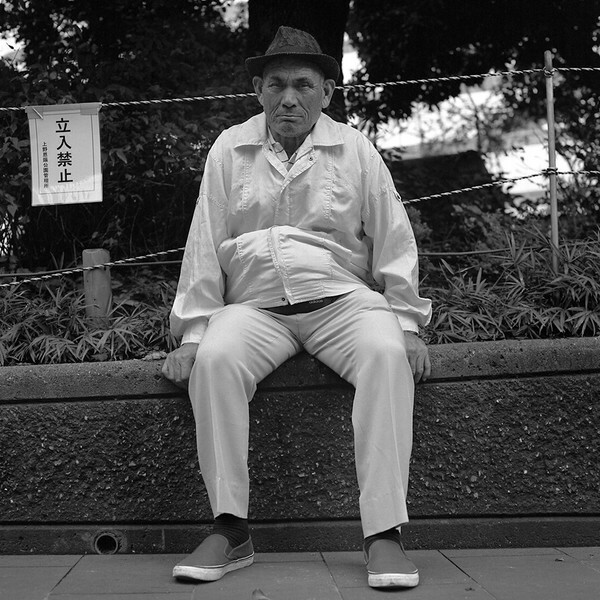 One after another, I talked with the people and took their photographs, making their portraits one at a time. Thus I created this work. And this work I will continue. The work I named “Thirteen Orphans”. It is the name of the strongest hand in the game of mahjong. In most games, we collect series of the same type of cards and melds, but in this hand all the cards are unrelated to the others. However, if one card is missing, this hand is worthless. Each is unlike all the others; each combines to make the whole. Just like human society. 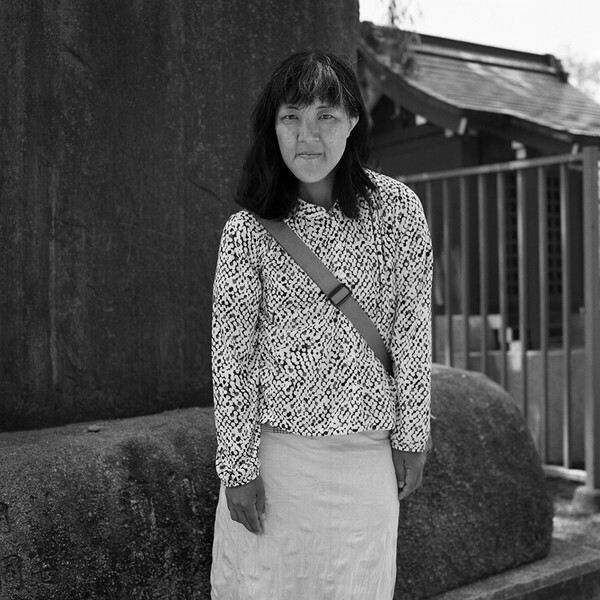 Tsutomu Yamagata is a documentary photographer based in Tokyo, represented by Zen Foto Gallery, Tokyo and a member of the Japan Professional Photographers Society. He was born in 1966 and raised in Tokyo, majored in Law at Law department, Keio University. Worked many years at Business Planning Department and Human Resource Department of an energy industry, and gained valuable experiences such as communicating with people, groups and the society through his job. At the same time, he gradually attracted and involving in the photography, then left his job for pursuing photography and went on the long journey to Asia and Europe with taking many documentary pictures. 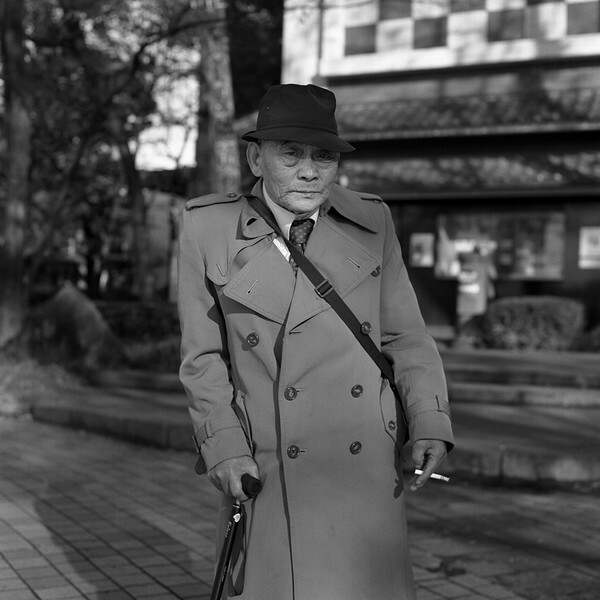 He learned photography through self-education at the age of 35, and after the photography workshops of Satoru Watanabe and Issei Suda, started giving exhibitions actively at Tokyo, China and etc. He runs photo-essay on a magazine, and also a lecturer of NHK (Japan Broadcasting Corporation) Cultural Center. 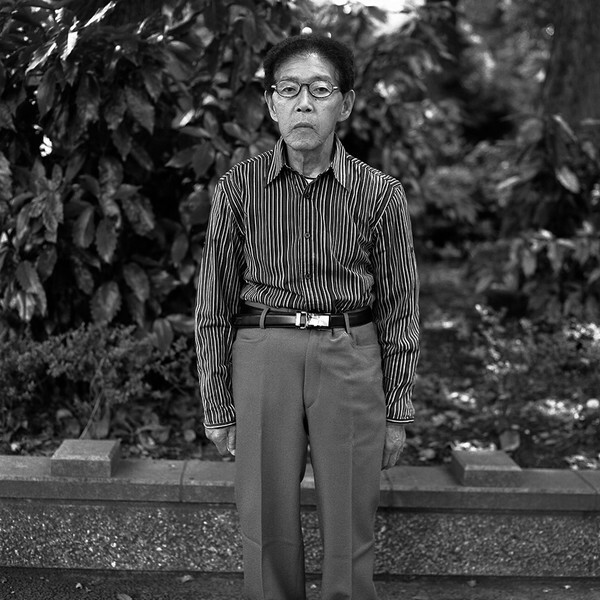 In 2012, became a member of the Japan Professional Photographers Society, published his photo book “THIRTEEN ORPHANS”, gave exhibitions at photo festivals in Japan and overseas, and received good reputation. In 2013, attended Review Santa Fe, and selected to Photolucida’s Critical Mass Top 50. In 2014, received the award of Lensculture Portrait Awards.